Weak global cues and concerns over fiscal deficit spooked Indian markets, analysts said. Despite the session weakness, the Nifty is still up 20 per cent so far this year. Indian shares fell sharply for the second consecutive session amid weakness in Asian peers and concerns that the government's plan for a stimulus to halt economic slowdown may have a negative impact on the fiscal deficit. The Sensex fell close to 450 points at its day's low of 31,474 while Nifty slumped to 9,816. Including yesterday's loss, the Sensex fell around 750 points in just two sessions. Most of the Asian markets ended lower today while European markets were also lower in early trade. Sensex closed 295.81 points or 0.92 per cent lower at 31,626.63 while the Nifty50 index settled 91.80 points down at 9,872.60. 1) The government is considering a plan to spur growth with Rs 50,000 crore additional spending, news agency Reuters reported, citing sources. The additional spending could increase fiscal deficit and derail the fiscal consolidation roadmap that the government had set earlier. 2) Finance Minister Arun Jaitley had said earlier that the government was looking for ways to lift economic growth, which slipped to a three-year low of 5.7 per cent in the April-June quarter. 3) Global investor sentiment was also subdued amid North Korea tensions. 4) "This remains a potential threat to the overall markets," said Teena Virmani, vice president, Kotak Securities. She also said that valuations of Indian markets are still a concern after the sharp run-up seen this year. 5) Despite the recent weakness, the Nifty is still up 20 per cent so far this year. 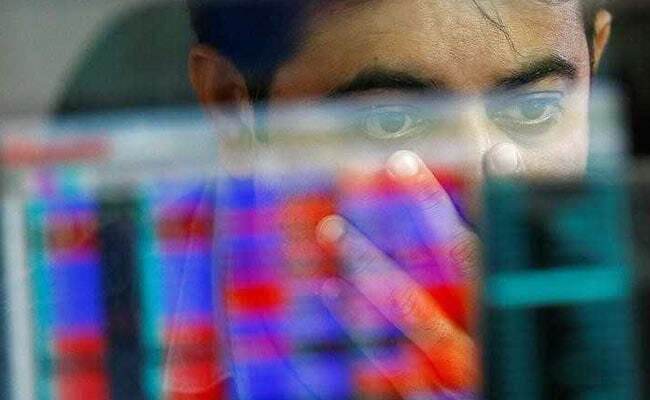 "It's a clear case of correction out there with investors taking a more cautious approach in the near term," said Siddhartha Khemka, Head of research - Equity, Centrum Wealth. On Friday, foreign institutional investors sold Indian shares worth over Rs 1,200 crore, extending their selloff tally to over Rs 7,000 crore this month. 6) In the currency market, the rupee also remained volatile. On Friday, it had slipped to a six-month low of 65.14 against the US dollar. However, the rupee has recovered some ground and was trading at 65.09 in afternoon trade. 7) The Federal Reserve last week announced a plan to start shrinking its balance sheet in October and signalled one more rate hike later this year. The US central bank's announcement of another interest rate hike this year took markets by surprise as a series of poor inflation readings had dampened expectations for such a step. 8) Higher interest rates tend to boost the dollar and push bond yields up, putting pressure on other currencies as well as greenback-denominated commodities such as gold. 9) Back in the Indian markets, the selling pressure was broad-based with all the sectoral indices on the BSE trading in the red. The selling pressure in midcap and smallcap stocks, which have outperformed this year, was more severe. The BSE midcap index closed 1.13 per cent lower while smallcap index settled with 2.02 per cent loss. 10) Among the Nifty50 index, 38 stocks closed in the red with just 13 in the green.ACC, Aurobindo Pharma, Adani Ports, Indiabulls Housing Finance, Ambuja Cements were among the top losers in Nifty falling between 2.5-3.3 per cent.